Two snails meet, and fall in love, right after a rain storm. 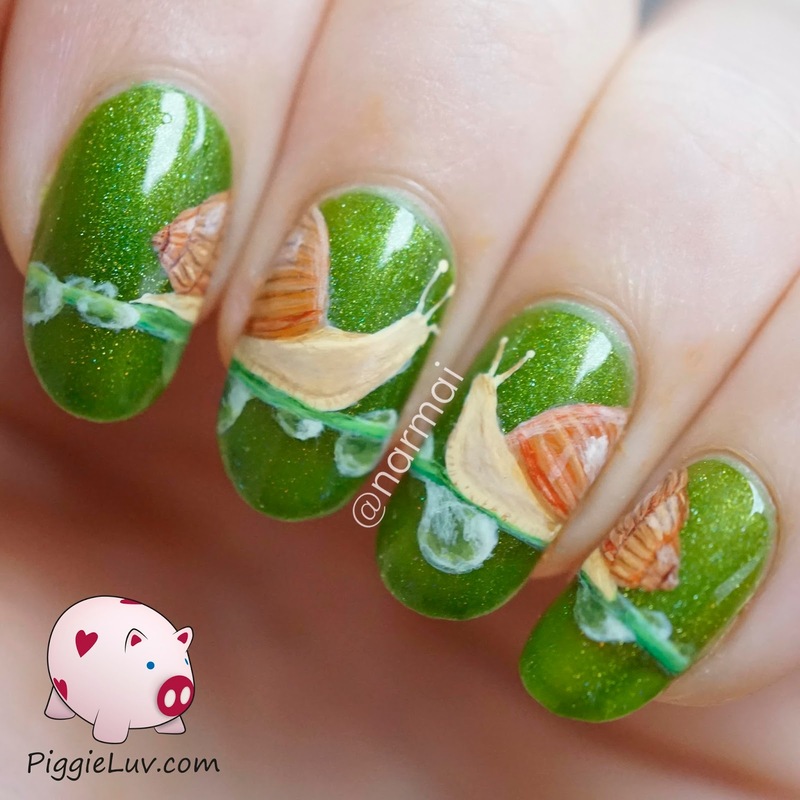 Or something :-p I loved painting their shells! The water drops were a good challenge for me as well :) Click to see more! 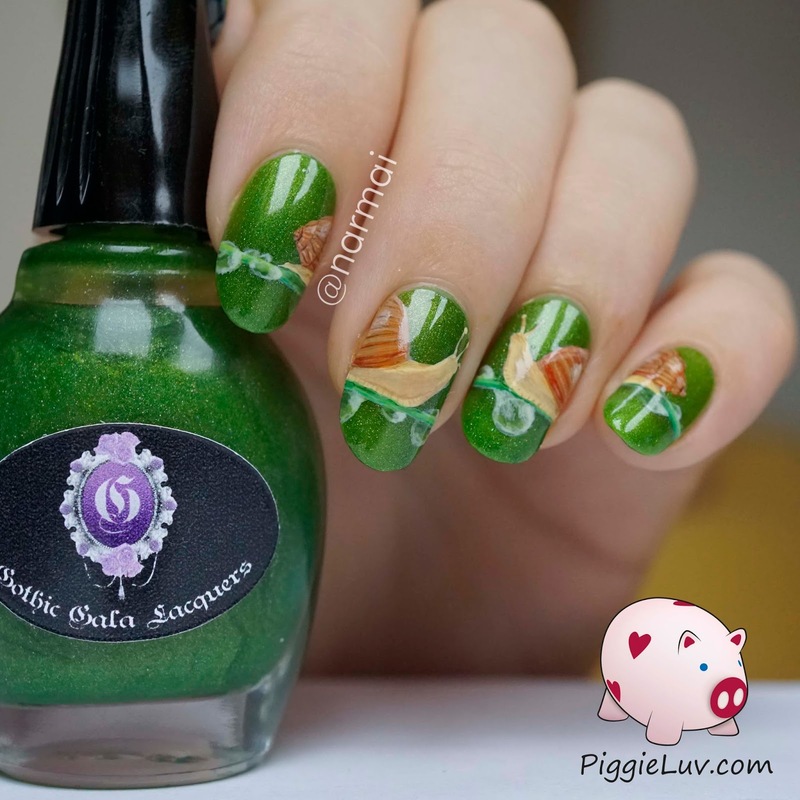 The gorgeous background color is Gothic Gala Lacquers Lili St. Cyr, one of my favorite indie brands :D I reviewed this polish back in the summer along with her amazing sisters. 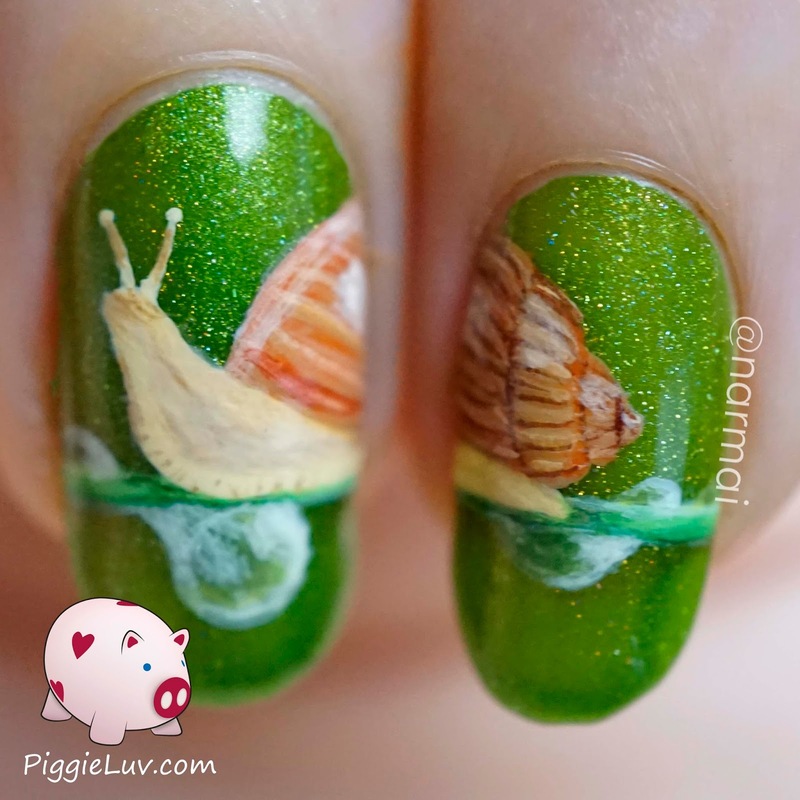 The snails were freehanded with acrylic paint and my brushes from Christrio Scotland and Stylish Nail Art Shop. Ofcourse if you look up close, you will see brush strokes and mistakes, but from a distance, it actually looks kinda good-ish!